Poinsettias produce deep red blooms in winter, adding color to holiday tables. A tropical perennial plant, poinsettias can survive and bloom for many years with proper care. Poinsettias do not require high levels of light, one of the reasons they are favored as a potted plant. 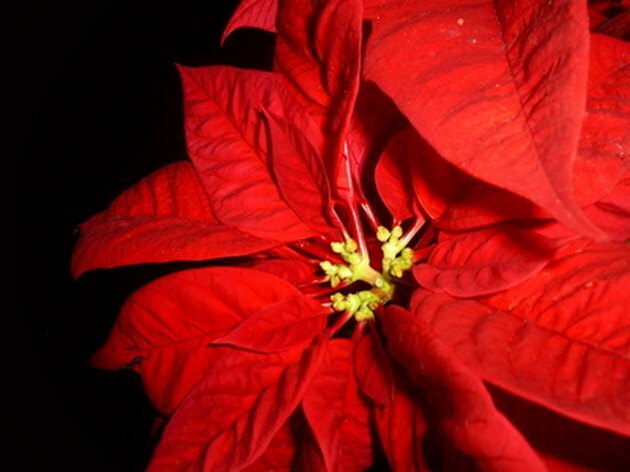 The flowers of the poinsettia are actually modified leaf structures called bracts. Once these have wilted and begun to die off, the poinsettia requires a thorough pruning. Poinsettias may also require some trimming throughout the growing season in order to remain full and healthy. Poinsettias require pruning to return to bloom. Trim off the leaves on each poinsettia stem once the plant finishes blooming in March, leaving just three to four leaves on each stem. Cut the stems back to half their former height with shears. Trim off the top of each stem when they are 4 to 6 inches long in summer. Cut off the top 1/2 inch of each tip, as this helps the poinsettia grow full and bushy. Trim off the growing tips on each stem a second time in August if the stems have put on at least an additional 5 inches of growth since the last pruning. Cut out any damaged or dead leaves throughout the growing period. Remove these where they emerge from the stems. 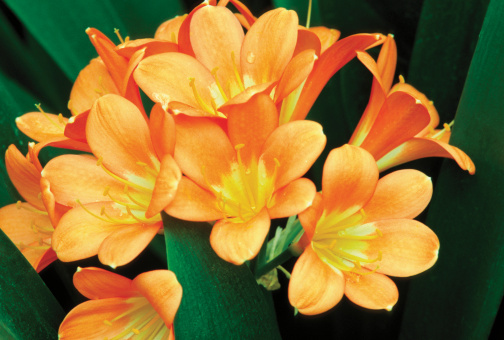 Why Are My Clivia Leaves Turning Yellow?